Posted on October 24, 2014 by Commuter Connection Program	in Uncategorized. How close to do you live to a dangerous biomass facility? A new report and database released by the Partnership for Public Integrity this week shows the 100 most polluting biomass facilities in Pennsylvania. Do you live near a polluting biomass facility? This database is an excellent resource and gives a strong picture of the biomass industry in Pennsylvania. By making information available to the public, it allows affected community members to get involved with air quality issues that impact their neighborhood. 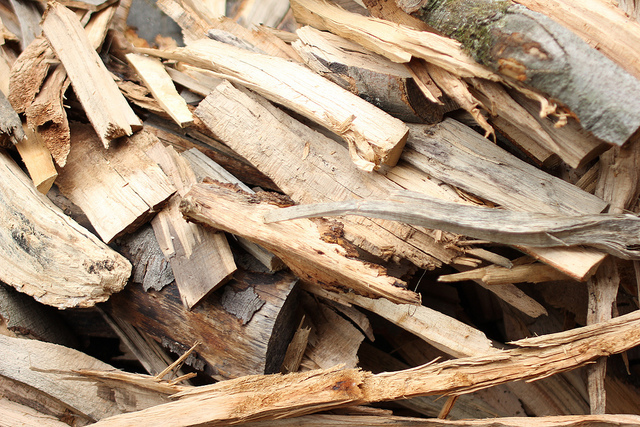 Biomass is commonly misunderstood as a clean fuel source. “Biomass is unique because it has been subsidized and promoted so heavily in Pennsylvania as clean renewable energy, while the reality is that biomass burners emit tens of tons of soot and other pollutants into local communities,” said Mary Booth, director of PFPI and the author of the report. Burning wood and other biomass emits high amounts of pollutants such as particulate matter and soot which worsens air quality and can exasperate respiratory illness. One of the most striking facts from the report is the drastic increases in asthma in school children across the state from 2008 to 2012. 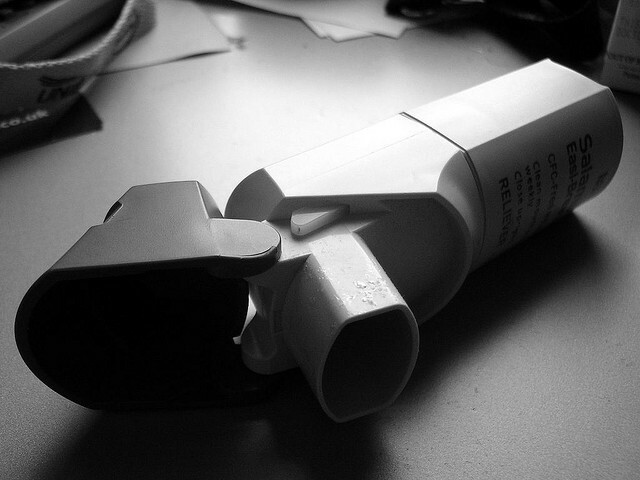 Pennsylvania has seen an overall 43% increase in asthma in schoolchildren, with some counties seeing increases as high as 256%. While there are many factors that can contribute to asthma, the ever degrading air quality in Pennsylvania certainly plays a role in these heightened rates. Our children are paying the price for our foolish environmental practices. When it comes to protecting our air, Pennsylvania isn’t doing too well. Over a third of Pennsylvania counties (25 of the 67) failed to meet Environmental Protection Agency health standards for particulate matter, ozone or both. Particulate matter is one of the most dangerous pollutants released from biomass and wood burning operations. As we continue to irresponsibly burn wood, biomass, and fossil fuels, particulate matter and ozone endure in our communities. Pennsylvania should be subsidizing and supporting true renewable energy like wind and solar power. Continuing to invest in polluting fuels like biomass will only lead to more pollution and more respiratory illness. You can read the full report on biomass facilities in Pennsylvania here. Posted on October 10, 2014 by Commuter Connection Program	in OWB, Wood Smoke and tagged air pollution, EHIH, Environment and Human Health Inc, new report, Outdoor Wood-Fired Boilers, OWB, report, wood furnace, Wood Smoke, Wood smoke particles. This week Environment and Human Heath Inc. (EHHI) published the first peer-reviewed article focused on the dangers of wood smoke emissions and wood burning devices. And the results were conclusive: wood smoke is a serious threat to public health. Wood smoke contributes to air pollution which can cause asthma, affect lung function, and cause cardiac arrhythmias and acute heart attacks. – Nancy Alderman, President of Environment and Human Health, Inc.
Wood smoke from outdoor wood-fired boilers (OWB), wood stoves and open burning, all contribute to air pollution. But it is the outdoor wood-fired boilers or wood furnaces that are the most harmful. 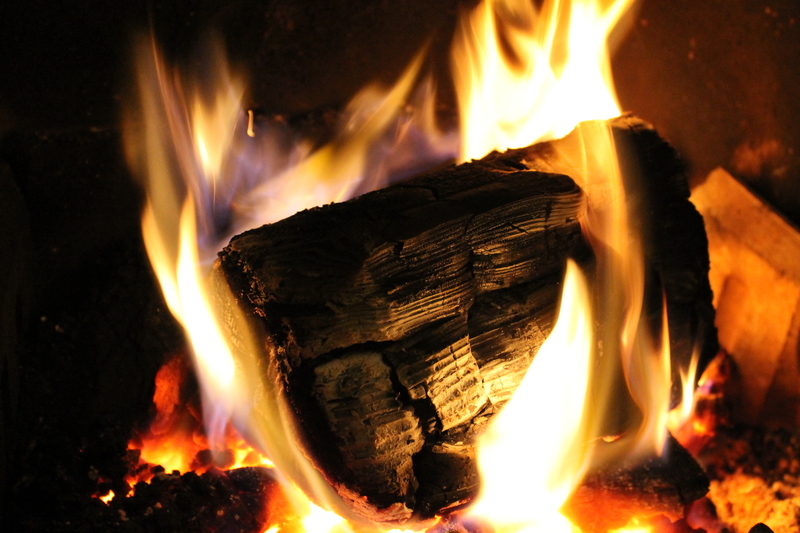 It is estimated that an average OWB produces as many fine particulates per hour as 22 indoor wood stoves. This study showed that homes neighboring an OWB unit had “significantly higher particulate levels than control houses that were not near an OWB”. Homes nearly three football fields away (850 ft.) from an OWB unit had six times the level of particulates as control homes. That is four times the EPA’s air standard level. And homes 240 feet away from an OWB had particulate level twelve times the levels of control homes, eight times the EPA air standard level. This is troubling. Neighbors of those who use OWBs are exposed to an extremely high level of particulate matter with no way to move their homes to safety. Most states have no setback regulations but, for the few states that do, this study shows that they are not strong enough. Connecticut, for example, has a 200 ft. setback requirement, which would still put neighbors well within the danger zone of exceptionally high level of particulate matter pollution. Dr. David Brown, public health toxicologist with EHHI said it best when he said, “Outdoor wood furnaces should be labeled with cancer and asthma warnings.” Current setback regulations do not protect public health. This means that we need to adopt stricter regulations and cleaner technologies to make sure that our neighbors have clean, safe air to breathe. Want to learn more about Outdoor Wood-fired Boilers? Check out our fact sheet for more information. Posted on October 7, 2014 by Commuter Connection Program	in Blog and tagged Allegheny County, Allegheny County Department of Health, wood burning, wood smoke pollution. Wood burning issues are making news in Allegheny county. The County Council will vote in the coming weeks on revised open burning regulations proposed by the Allegheny County Department of Health. When you think of air pollutants, wood smoke may not be top of mind, but in Allegheny County, over a third of all health complaints about air quality were related to wood burning. The toxicity level of wood smoke is often compared to that of cigarette smoking. Burning wood or biomass gives off high amounts of carbon, nitrogen, sulfuric oxides, volatile organic compounds and particulate matter. These pollutants cause a whole host of problems from respiratory and asthma illnesses to a greater risk of heart complications. We would never want to expose a child to the dangers of second hand cigarette smoke, and the same logic should apply to the dangers of wood smoke pollution. These new regulations would take very moderate steps to addressing a large problem. The proposed rule states that no materials other than clean wood, propane or natural gas could be burned and open burning must occur at least 15 feet from the nearest neighbor’s property line, roadway or sidewalk. 15 feet is still way too close to vulnerable neighbors. A recent study showed that homes 240 feet away from wood smoke pollution had particulate level twelve times the levels of control homes, eight times above the EPA air standard level. The issue of wood smoke pollution comes down to a simple principal: the golden rule. The pollution created by burning wood and biomass creates a very serious threat to the neighbors and community members who live within close proximity. We have to think of our neighbors and the harm we are doing to them. The regulations proposed in Allegheny County are a first step to protecting the members of the Allegheny community from the threat of wood smoke pollution but they do not do all they could to alleviate the problem. The best way to protect public health is by instating a ban on open burning. Are you one of the thousands of people afflicted by wood smoke pollution? Submit a health complaint using this online forum. Posted on June 27, 2014 by Commuter Connection Program	in Model Legislation and tagged air pollution, Allegheny County, Allegheny County Health Department, Clean Air Council, Contact Thurman Brendlinger, Front Page, Open Burning, Wood Smoke. The Allegheny County Health Department public hearing on Open Burning http://www.achd.net/air/index.php is coming up next week on Tuesday, July 1, 2014, at 10:00 AM, in the First Floor Conference Room at Building #7 of the Clack Health Center, 301 39th Street, Pittsburgh, PA 15201 for proposed amendments to Rules and Regulations on Open Burning. If you want to comment in person, please contact the Department at least 24 hours before the meeting at 412-578-8120. Contact Thurman Brendlinger at brendlinger@cleanair.org or 215-567-4004, Ext. 104 if you plan on presenting comments or have questions about the issue. Posted on June 10, 2014 by Commuter Connection Program	in Model Legislation, Uncategorized and tagged Allegheny County, Allegheny County Health Department, Clean Air Council, Contact Thurman Brendlinger, Front Page, Health, Open Burning. Join Clean Air Council at the upcoming Allegheny County Health Department public hearing on Tuesday, July 1, 2014, at 10:00 AM, to voice your support and present you comments on a No Burn Alternative in Allegheny County. The hearing will be held in the First Floor Conference Room at Building #7 of the Clack Health Center, 301 39th Street, Pittsburgh, PA 15201 for proposed amendments to Rules and Regulations on Open Burning. Posted on May 16, 2014 by Commuter Connection Program	in Biomass, Wood Smoke, Wood Stove and tagged Allegheny County, Clean Air Council, Wood Smoke, Wood Stove. Burn hardwoods like oak, in place of soft ones like pine. Never burn trash, plastic or pressure-treated woods. Avoid using an accelerator like gasoline to start a fire. Don’t leave a dying fire to smolder. It produces more air pollution and presents a safety hazard. Check your local air quality forecast before you burn. Keep air vents clear of ashes. Regularly clean your chimney or flue. Upgrade to an EPA-certified wood stove or fireplace insert. These burn cleaner, more efficiently, and emit less particle matter. Read the full article from Pittsburgh Today by clicking here. Posted on May 9, 2014 by Commuter Connection Program	in OWB, Wood Smoke and tagged Clean Air Council, Environment, EPA, Fireplace, Front Page, Health, Legal Action, Outdoor Wood-Fired Boilers, OWB, Wood Stove.